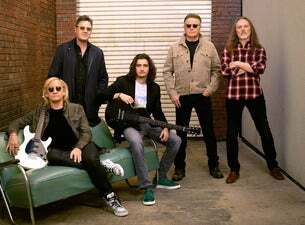 American rock legends Eagles have announced six UK shows in June and July 2019 as part of a newly announced European tour. They’ll be coming to London, Manchester, Birmingham, Liverpool, Leeds and Glasgow. Don Henley, Joe Walsh and Timothy B. Schmit, with Vince Gill and Deacon Frey, will be gracing the stage performing classic hits such as Hotel California, One of These Nights, Life in the Fast Lane, and Desperado. They will also be joined by very special guest Sheryl Crow for their London show at Wembley Stadium on 23 June 2019. Formed in Los Angeles, California in 1971, the band have become one of the world’s best-selling bands in history and have sold 150 million records worldwide to date. Since their formation, they have racked up some impressive awards and achievements. They have scored five number-one singles and six number-one albums, as well as won six Grammy Awards and five American Music Awards. At the end of the 20th century, Record Association of America ranked two of their albums, Their Greatest Hits and Hotel California, in the 20 best-selling albums in the United States. By 2006, the two albums became two of the top three best-selling albums in America. The band first disbanded in July 1980, before reuniting again 14 years later for the album, Hell Freezes Over. They relentlessly toured and made their way into the Rock and Roll Hall of Fame in 1998. The band then took other break after the death of Glenn Frey, unsure whether they would ever perform again. However, in 2017, they continued to tour again with Glenn Frey’s son Deacon, and Vince Gill.